With each spring come flowers, and this summer the pretty trend continues as floral prints are not about to wilt anytime soon. Although a classic warm weather staple, floral prints are often seen as frumpy when worn to excess. Well, not this season. The more in bloom you are, the more in style you are! As seen on the runways of Matthew Williamson, Erdem, Proenza Schouler, Peter Som and many more; head-to-toe florals were one of the biggest Spring/Summer 2012 runway trends. This season floral arrangements carry more sophistication and modernity. Without the fuss and muss of an overly girly trend, even the hippest urban girls can sport this trend without feeling like a hussy. To say that floral is a trend unique to this season off the mark, as floral prints are a warm weather classic re-invented every season. However, something unique this year is the floral trend is in denim. So why not join the trend and pick up your own pair of floral jeans from Garage! 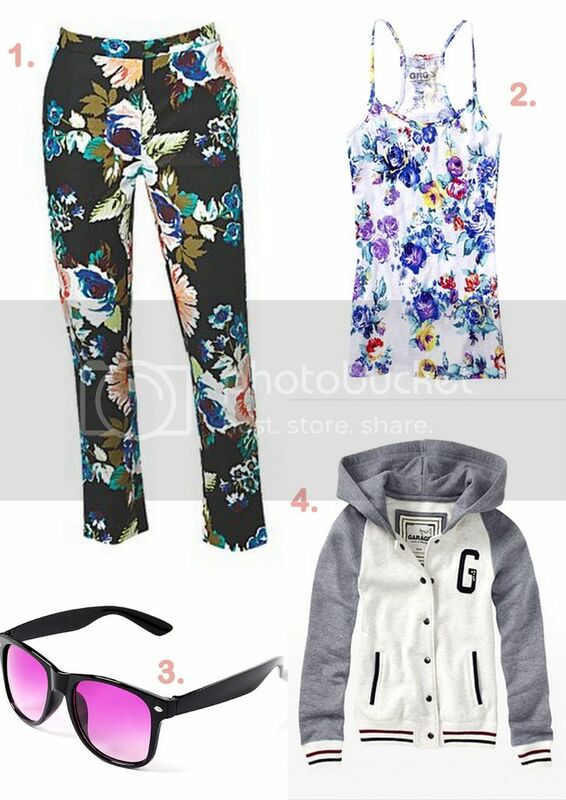 Floral jeans + floral top + sports jacket + wayfarers = Urban Cool!